We sure are getting close to Easter now. I have more Easter stamps than days left until the bunny arrives, so I'll have to save some of them 'til next year! This little cutie just makes me smile. 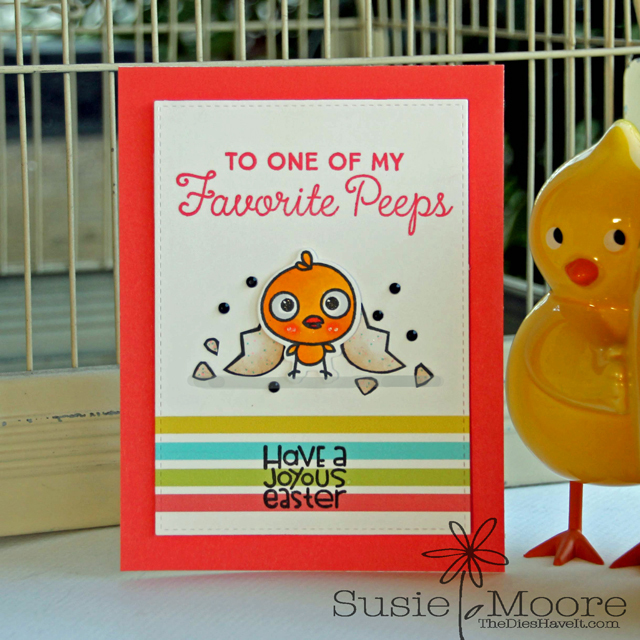 The stamps and dies (except the Favorite Peeps sentiment) are from Spring Fling by Paper Smooches. The adorable sentiment is from Candy Jar Companions by MFT Stamps. I think it is super fun to mix stamps and dies from various companies. Do you ever do that? Well, have a great day and I'll see you tomorrow.